We start early in the morning taking the sea on one side of the road. Sun god still waking up from sleep makes the surrounding roads look magical. A song in raaga “Bhairavi” comes to my mind, is it not to be sang at this time? The soft light of the early morning makes me stop the car at places and ask our driver to side the car and switch off the light, drag my self out of the car and look at the light reflecting on the water and play with the cloud. The coolness of the morning breeze and the smell of some unknown vegetation awakens me to a beautiful bright morning in the car front seat. 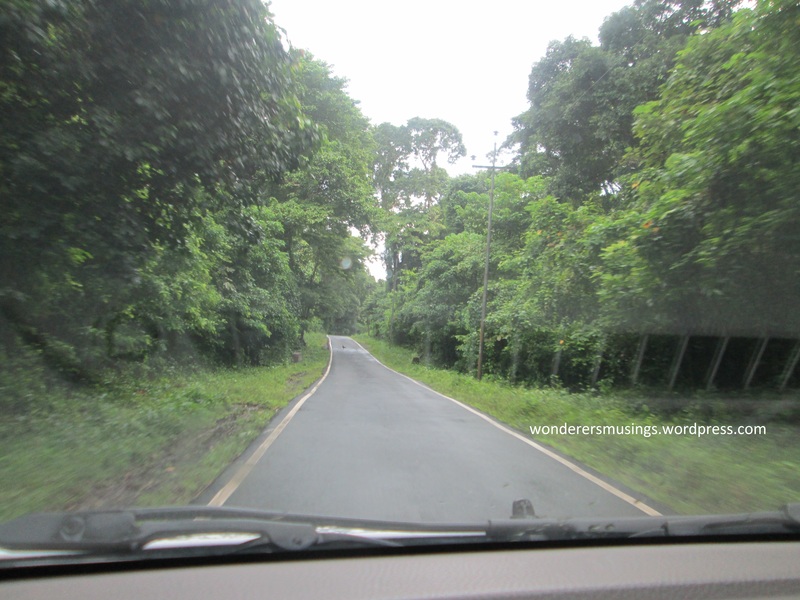 Now, in the new light, I see bright green trees on both sides of the road, that reminds me of the trip through the Jarawa reserves. Air is fresh, sky is bright and blue, we bandage the broken dreams of seeing Ross and Smith islands in a bright day light and nurse it to stand up. We stop for the first time by a small road side shop for a round of chai. Then we start our ride again. I see a large bird sitting in middle of the road, but before we get close to see exactly what it is, it flies away making us unable to understand whether it was an eagle or a kite..
We sit at the Arial Bay jetty. Give our ID cards to our agent. Sit in the waiting room while our permits to get till Ross and smith Islands are made. The sky looks not so promising. Here, let me give you some interesting facts about these islands. 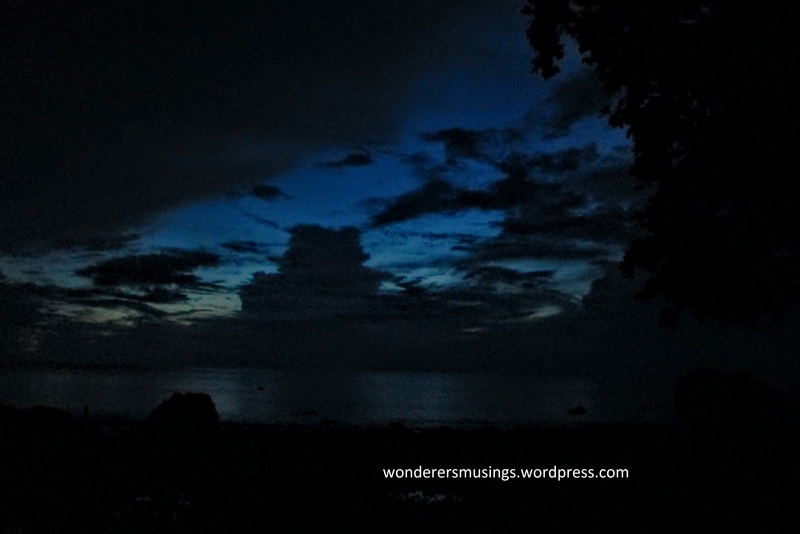 The Ross and Smith Islands also called twin islands , situated in Diglipur in North Andaman are called so for a reason. The two islands are joined by a natural sand bar. The bar is visible during low tide. One can walk over the soft sand to reach the other Island during this time. The sand bar goes under water as the high tide comes. Smith Island is the bigger in size of the two islands. Smith island is also inhibited by some 30 families. 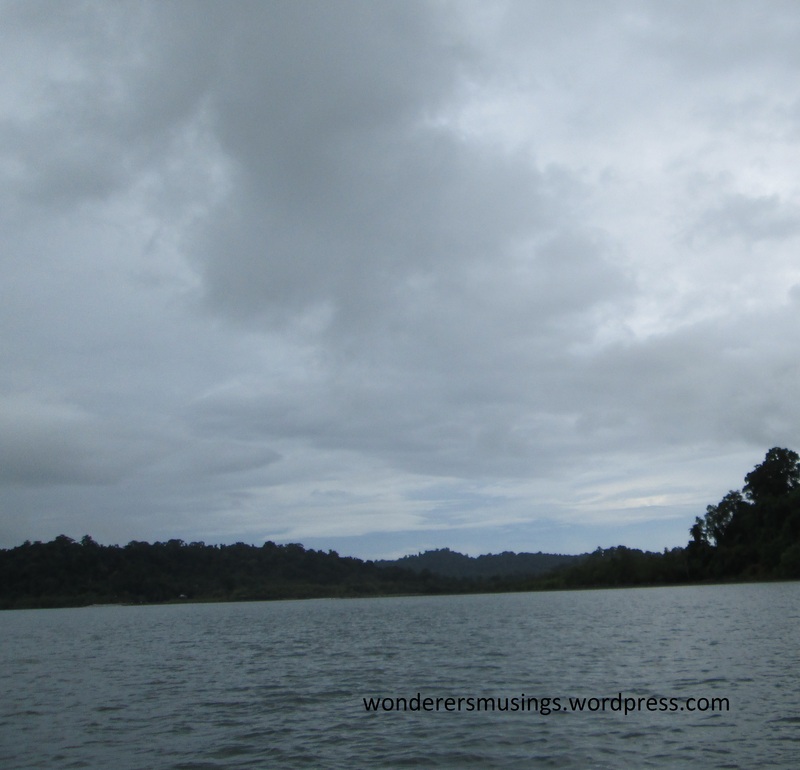 Previous Post Andaman Dreams – travel continued!